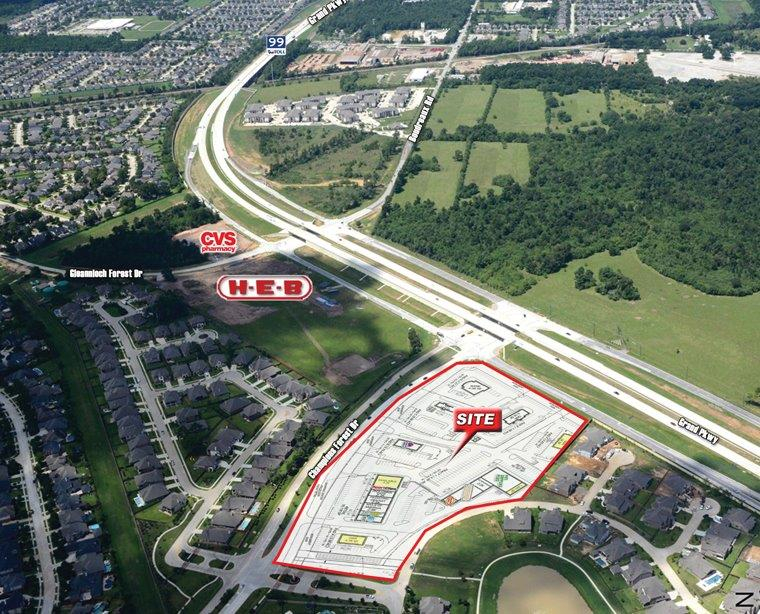 Effective September 2016, new commercial construction is underway surrounding the intersection of Champion Forest Drive and The Grand Parkway – just 1/10 mile from Champion Ridge Office Condominiums. A new CVS is under construction at Gleannloch Forest and The Grand Parkway (one entrance to Gleannloch Farms) and a new HEB is adjacent to a new Capital Retail Shopping Center at the other entrance to Gleannloch Farms off of Champion Forest Drive. The Capital Retail Shopping Center has announced Smoothie King, Taco Bell, AT&T, Sport Clips and Subway as some of its tenants and more will soon be announced. All of this commercial construction is less than 1/10 mile from Champion Ridge Office Condos and the established Gleannloch Farms community! Traffic in this area is increasing daily and property values are expected to do the same!